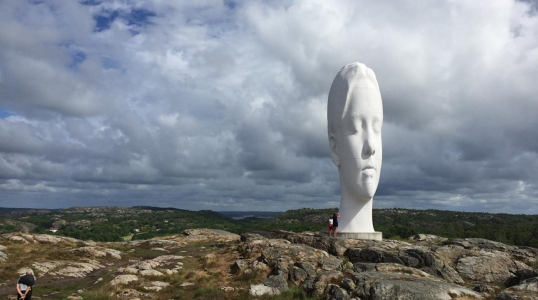 Sculptures and sheep are what you’ll find at the Pilane Sculpture Park at Tjorn Island, Sweden. The island is an ancient settlement where stones and gravesites still stand from approximately 2000 years ago. However, in present day, the much of the island is a sheep pasture decorated with contemporary sculptures. There are also nearby spots to sample local snacks or buy souvenirs.